I love action movies and if you do too , i know you are going to love this few good action films. 1. Edge of Tomorrow: Every Tom Cruise movie i see is just spectacular, this movie is a must watch. The way he was forced into battle , having to live every day again, you just have to see it. you are gonna love Emily Blunt, she was great, I was craving for more towards the end, hoping to see a romantic scene.It’s based on Hiroshi Shikuraza’s novel “All You Need is Kill”, it’s a true science fiction film, highly conceptual, set during the aftermath of an alien invasion. 2. 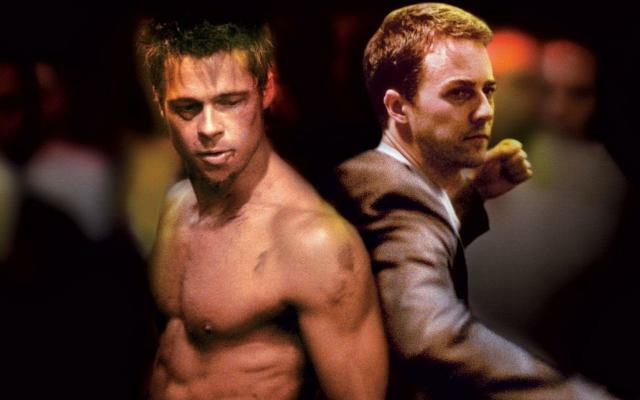 Fight Club: “First rule of fight club, you don’t talk about fight club” :). I don’t know why someone will want to get punch in the face though but you just can’t take it away from fight club. i don’t think it is suitable for kids to watch this kind of movie. Edward Norton stars as a depressed urban loner filled up with angst.He describes his world in dialogue of sardonic social satire. His life and job are driving him crazy. As a means of dealing with his pains, he seeks out 12- steps meetings, where he can hug those less fortunate than himself and find relief in their suffering. Then he met Brad Pitt that’s how fight club started. you should see this movie. 3. 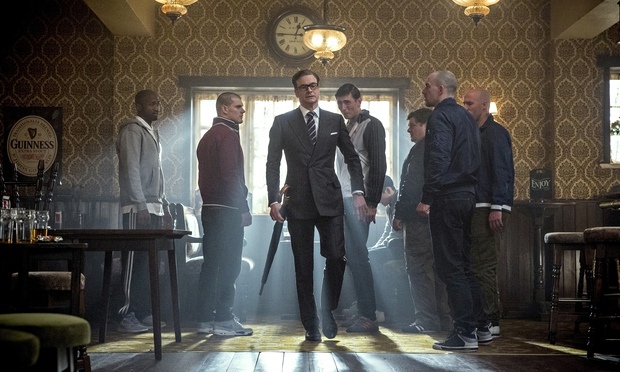 Kingsman: The Secret Service: I got hook right from the start, i saw many resemblance with our regular James Bond movies, it was directed by Matthew Vaughn, written by Vaughn and Jane Goldman, and based on a comic book written by Mark Millar. 4. 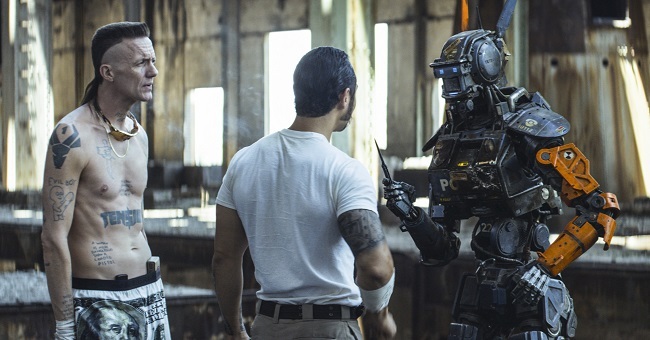 Chappie: This has got to be one of my favorite , don’t believe everything critics tells you. I will never misled you :). I remember the first time i saw Chappie it was electrifying, pure entertainment and it can make you shed a few tears too. Who wouldn’t love Dev Patel after Slumdog Millionaire and he prove himself again in Chappie. It was filmed in Johannesburg, South Africa. The police force in near-future Johannesburg, South Africa has been replaced with human-sized and heavily-armed robots that, while not indestructible, are powerful enough to have inspired a steep drop of crime rate. For Tetra Vaal, the defense firm charged with supplying the robots, business is booming and other countries are set to place orders as well. However, Deon (Dev Patel), the brilliant designer who created the robot cops, is somewhat not satisfied and wants to make more meaningful contribution to the society. He later came up with a way of making the machines becoming true artificial intelligence so that they can learn, create and feel just like actual humans. 5. John Wick: When i saw it was starring Keanu Reeves, i just smiled and fasten my seat-belt. The starting of the movie kinda threw me off though but after his car was stolen and his dog was killed, i was impressed with the numerous action scenes. John Wick brings Keanu Reeves back into the action genre he is known for. This is the best work of Reeves since The Matrix. Soon after the death of his wife, the woman whose love inspired him to retire from his life as an expert assassin. Wick receives an unwelcome visit to his minimalist, modern mansion in the middle of the night. Russian bad guys have come to steal his prized 1969 Mustang. And they killed his dog in the process. The latter act is horrifying in itself; what’s even worse is that the adorable puppy was a gift to John from his dying wife, who knew he would be lonely and need someone else to love. Just when John thought he was out, they pull him back in. Interesting Facts You Probably Don’t Know About “Friends”.